In May 2013, Livingston County District Judge Theresa Brennan sentenced a man to life in prison for killing his brother and sister-in-law in their Oceola Township home. More than three years later, the judge’s estranged husband alleged in in divorce court filings that Brennan was having an affair and talking by phone with a key prosecution witness ‒ a state police investigator ‒ during the murder trial. If true, this would likely violate ethical rules that, among other things, discourage judges from having private contacts with witnesses (The judge claims the relationship began after the murder trial). Livingston County District Judge Theresa Brennan is accused by her estranged husband of having an affair with an investigator in a murder trial that she presided over. Judges are supposed to disclose such personal relationships. The Judicial Tenure Commission says it hasn’t received a complaint about the incident. It’s unclear if the Michigan Judicial Tenure Commission, the state’s judicial watchdog, is now investigating Judge Brennan’s conduct. But under a series of controversial rule changes now being considered by the Michigan Supreme Court, the JTC would not even be able to review Brennan’s actions. That’s because, among other proposals, the rules would prohibit investigations by the Judicial Tenure Commission if complaints against judges are lodged more than three years after alleged offenses. The proposal offers some exceptions to this rule, including “for good cause,” but it doesn’t define what that might be. Critics of the proposals contend they represent an effort by the Supreme Court to dilute the power of the JTC and would have the effect of giving rogue judges in Michigan freer reign to commit misconduct. On the other side, some judges say the tenure commission has at times been overly aggressive in investigating and filing complaints against sitting judges. Those opposing the rule changes focus particular ire on one proposal that would give the Supreme Court “advice and consent” authority over hiring future executive directors of the JTC, which is charged under the constitution with investigating allegations of misconduct involving Michigan’s 600 judges ‒ including the Supreme Court ‒ and recommending discipline. The new rules also would prevent a judge from being disciplined for misconduct committed as a lawyer before a judge’s time on the bench. Another change would keep complaints filed by the JTC from becoming public until accused judges have a chance to respond to accusations. Currently, a complaint filed by the JTC is immediately released to the public. The proposed changes were rolled out by the high court in August, one month after the tenure commission fired its long-time director, Paul Fischer. Supreme Court spokesman John Nevin wouldn’t comment on speculation among some in Lansing that Fischer’s aggressive approach to investigating judges may have prompted the proposed rule changes. “On a periodic basis, the Court undertakes a comprehensive review of various groups of rules…,” Nevin told Bridge. “Because it has been nearly 20 years since the rules regarding the JTC were adopted in their current form, it seemed a good time to consider them again. The Supreme Court is expected to make a decision soon on the proposals, which have drawn opposition and ethics warnings from the JTC, the State Bar of Michigan (which represents licensed attorneys in the state), and even groups representing district and probate judges. “I am concerned that this really erodes the public confidence in the JTC to respond to alleged misconduct,” said Bruce Timmons, a retired and respected longtime staffer for the state House Judiciary Committee. The Supreme Court would not respond to specific criticisms of the proposal. It introduced the proposed changes without any public explanation of why they were necessary. But Supreme Court Justice Brian Zahra offered a window into his thinking about the three-year statute of limitations on filing complaints at a Jan. 17 hearing over the proposed rule changes. The role of the tenure commission in scrutinizing Supreme Court conduct is more than theoretical, as evidenced in the highly publicized travails of now-former Supreme Court Justice Diane Hathaway. 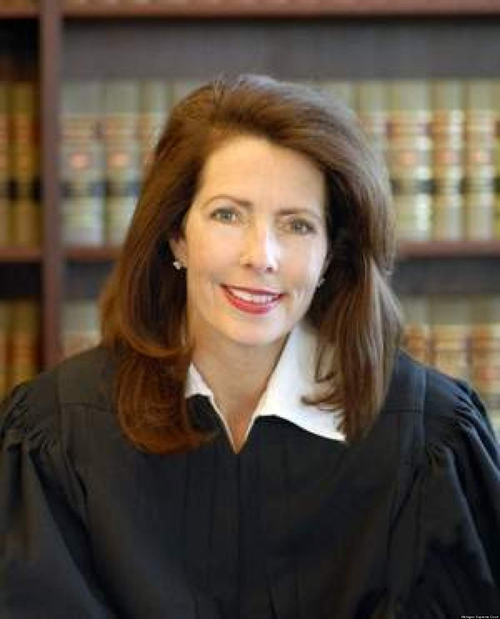 In 2013, for the first time in its history, the Judicial Tenure Commission recommended to the Supreme Court that it suspend a sitting justice, recommending that Hathaway be removed for ethical violations tied to a real estate deal. Hathaway resigned hours after the JTC complaint became public. Former Michigan State Supreme Court Judge Diane Hathaway resigned after the Judicial Tenure Commission issued a complaint accusing her of lying about a land deal. She later went to prison as part of a separate criminal case. Hathaway was separately sentenced criminally that year to one year in prison for bank fraud and concealing assets, including a Florida home she and her husband owned, while urging a bank to let her unload their Grosse Pointe Park home that carried a large mortgage. 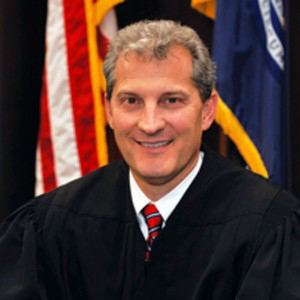 In a statement to the Supreme Court about the proposed changes, Timmons wrote: “Almost every proposed change in this set of rules favors judges – not the public. They are designed as much to discourage legitimate claims of misconduct as they are supposedly intended to ward off frivolous, stale, or unfair claims. As a young intern to the House Judiciary Committee, Timmons helped draft the 1968 amendment to the state constitution that created the tenure commission. The JTC is governed by a nine-member board that includes two gubernatorial appointments, representatives of the Michigan Bar, the state’s district, circuit and appeals courts. Under current procedure, charges of ethical violations against a judge are made public after the full commission has approved staff recommendations that a complaint be filed. The commission then appoints a special master, typically a retired judge, to conduct a hearing and issue disciplinary recommendations. The commission can accept, modify or reject the recommendation before it is sent to the Supreme Court for final decision. The tenure commission submitted a statement to the court objecting to virtually every aspect of the proposed rules changes, including the proposal that judges be protected from public disclosure of complaints until they had a chance to respond. “The Commission is aware of no other type of legal proceeding where a complaint is issued and then withheld from the public for some period waiting for an opposing party to answer...Either the filing is public or it is not,” it said. A tenure commission employee said the commission would not comment beyond those statements. Its new director, Lynn Helland, was not made available for comment. The Michigan Probate Judges Association issued a statement backing virtually all the objections to the proposed changes raised by the tenure commission. The Michigan Judges Association, which represents circuit and appeals court judges, backed the proposed three-year limit on probing complaints against judges but was silent on the proposal the Supreme Court have a say in hiring the JTC director. For instance, now-former Dearborn District Judge William Runco was censured by Supreme Court in 2001 for his role in a business deal in the 1980s. Though it was more than a dozen years later, the court held him to account for self-dealing while representing clients in a real estate transaction that resulted in him making more than $40,000 in profits. According to an account cited in its ruling, Runco acted as legal representative for a suburban Detroit couple interested in selling property they owned in order to buy a bowling alley in Allen Park. At his advice, the couple turned down an offer of $49,500 for the property. About the same time, the court stated, Runco had formed a secret partnership with a developer who made an offer of $46,000 – which was accepted for the property. Eight months later, Runco and his partner sold the most of the property for development as a Jiffy Lube for $133,000, splitting the profits. They also sold the three remaining lots on the property for $20,000. While Supreme Court spokesman Nevin said this simply happens to be a “good time” to review procedures, critics say controversies involving the commission and its former top prosecutor might have helped drive the proposal as well. Judicial Tenure Commission Executive Director Paul Fischer’s aggressive tactics rubbed some judges the wrong way. One month after he was fired last year, the Michigan Supreme Court recommended a sweeping overhaul of rules governing the state’s judicial watchdog agency. 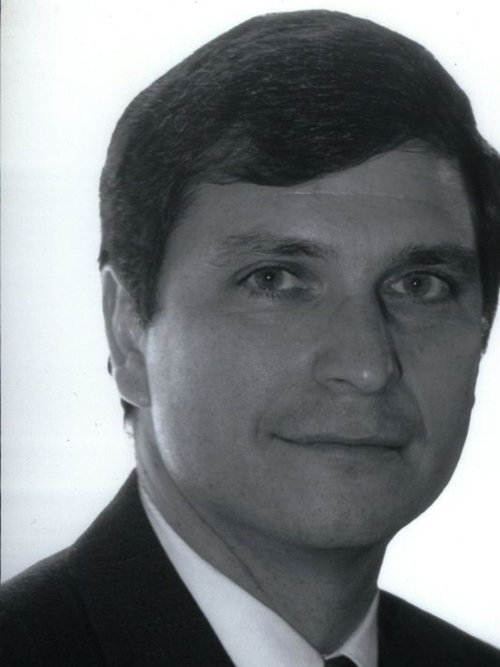 In his 15 years as executive director, Fischer had a reputation for being tough. 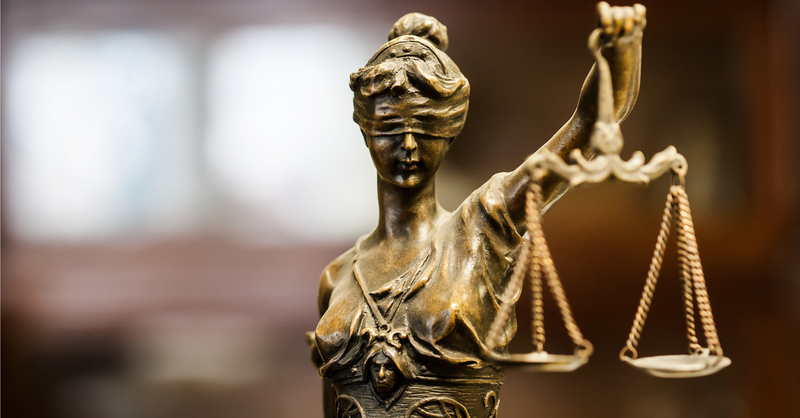 Even the Michigan District Judges Association (MJTA), which opposes the rules changes, asserted that some judges felt he was too aggressive in investigating judicial misconduct. “Many of the members of the MJDA would agree that the primary focus of judicial concern regarding the JTC over the past several years have centered on the conduct of the former executive director,” the judges’ association wrote in a statement to the Supreme Court about the proposed rules changes. 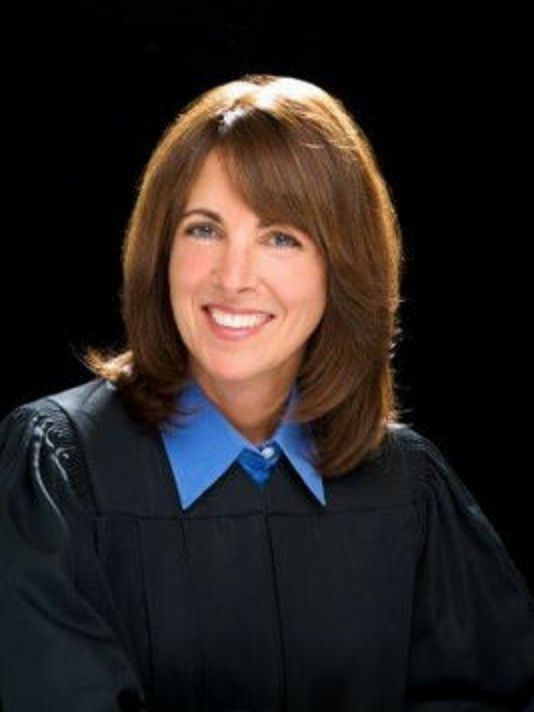 The commission fired Fischer for unspecified reasons while he was litigating the alleged misconduct of Oakland County Circuit Judge Lisa Gorcyca. She drew international attention in 2015 for sending three children, ages 9, 10 and 13, to a juvenile detention facility for 17 days because they ignored an order to visit their father. In December, Fischer sued the JTC, alleging it fired him for recommending a nine-month unpaid suspension for Gorcyca. The commission in November recommended instead a 30-day unpaid suspension and public censure of Gorcyca. The matter is now before the Michigan Supreme Court after her lawyers asked the court in December to dismiss the misconduct finding. Years before that, Fischer drew a sharp rebuke from one Supreme Court justice for what the justice characterized as pressure tactics toward a Kent County judge accused of sexually inappropriate behavior toward court employees. In 2008, Fischer was investigating complaints that Rockford District Judge Steven Servaas had commented on the chest size of a female court worker at a retirement party and attached doodles of male and female body parts to court files. He was also accused of moving to a home outside his judicial district. At Fischer's recommendation, the JTC asked that he be removed from office. But the Supreme Court decided in 2009 that Fischer had overreached, issuing a public censure of Servaas but leaving him in office. Fischer surprised Servaas by showing up with a state trooper at his chambers, presenting him with a letter of resignation to sign. According to press reports, Fischer told Servaas that his resignation would spare him humiliation when the accusations were made public. The accounts were based on a tape of the encounter by the trooper made without Servaas' knowledge. “You're up for election this year. So this is all going to become public no later than March. You'll be off the bench before then,” Fischer told Servaas on the tape, according to news accounts. The state Attorney Grievance Commission, which investigates misconduct by Michigan lawyers, reviewed complaints against Fischer and late in 2009 ruled he would not have to face a disciplinary panel. It’s unclear, meanwhile, whether the Livingston County judge accused of having an affair with a witness will face scrutiny from the Judicial Tenure Commission -- regardless of the proposed rule changes. A spokesman for the JTC, though, would not comment on whether it is investigating Brennan and said it has not received a formal complaint in the matter. Brennan and her husband reportedly reached settlement in their divorce at the end of March, while the judge’s relationship with the police investigator is reportedly under criminal investigation by the Michigan State Police. The Michigan Judicial Tenure Commission is and has been a joke for years. In 2013, I filed a complaint against a County of Kalamazoo Ninth Circuit Court Judge for his repeated serious, blatant, malicious, and retaliatory actions toward me, all of which were egregious violations of the Michigan Judicial Canons. Two months later, I received a letter from the JTC denying my request. The letter asserted, "The Michigan Judicial Tenure Commission 'LACKS JURISDICTION' to investigate your allegations of misconduct." This was false; however, even when the JTC denies a request for an investigation that has no basis in fact, there is nothing - NOTHING - a complainant can do. Believe me, I tried. I had hoped to file a Motion with the MI Supreme Court requesting the Court assume Superintending Control over the JTC and re-open my request for an investigation. I spoke to the Clerk of the Supreme Court and explained my situation. She informed me this was not an option; the Michigan Supreme Court cannot assume Superintending Control over the JTC. IOW, the JTC has zero oversight. This is unacceptable and indicative that Michigan's "Just Us" system is broken beyond repair. The last thing Michigan should do is make it more difficult for individuals to hold incompetent and corrupt judges accountable for their actions. Corrupt and incompetent judges can and do ruin people's lives. "Until it happens to you." Have to agree with the frustration about the JTC. Why hasn't the public seen the JTC take any public action against Judge Saad (http://www.freep.com/story/news/local/michigan/wayne/2016/03/07/appeals-...) or Judge Konschuh (http://www.mlive.com/news/flint/index.ssf/2016/03/felony_charges_dropped...)? Maybe the JTC needs a statute of limitations so that they have an incentive to actually act on things. The entire Michigan GOP is opposed to ethics, transparency and accountability. Everything they do is designed to make sure none of their peers is touched or exposed. 3. 6. 7 pick a number but there should a statue of limitations. "...some judges say the tenure commission has at times been overly aggressive in investigating and filing complaints against sitting judges." So, it is okay to look but don't look so hard? Judges are not above the law. What logic does that quote make to the working people of Michigan?! If you have not crossed the line, you have nothing to worry about sir. Here Brian tells us it is okay to do something wrong as a lawyer or judge and moreover, it shouldn't be held against you when you want to work in public office? That is entirely opposite of what MY expectations are as a voter. Well Brian, people SHOULD drudge things up. Be glad the investigative media is dwindling and there aren't as many good reporters employed any longer to actually find the truth behind the candidate(s).